The idea is that you begin and manage the business by channeling all the cash that you generate from your customers. Not everybody can actually do this, but it can be done. There are many ways to raise capital for your small business; however with every investment you agree to, you will have to also sell off some of your startup’s soul. You really need to be able to concentrate on building a good product, not on addressing the ideas and preferences of a group of investors. One of the greatest benefits of bootstrapping your small business is the fact that you maintain 100% control of your business. Business owners who bootstrap their start-ups know their business in and out, starting from the team, the product as well as the overall vision of the business; you have the full power as well as flexibility to make decisions that could have long-term effects for your small business and your lifestyle plans. 2. Bootstrapping shows the world that you are committed. Anybody can get out there and convince investors to hand over capital. It will take quite a different thing to put your personal financial well-being on the line. If you are devoted to the business, your workers and hopefully your clients will be also. 3. Bootstrapping forces you to really “touch” the marketplace. Getting a physical product to market easily through a rapid prototype procedure enables you to see just what your clients really need and exactly what they will buy. This enables you to build a physical product that’s more in line with client demand, creating a broader market. For virtually all businesses, profitability ought to be your major priority. This will certainly mean much more to you when you are operating on a small budget. 5. Bootstrapping gives positive pressure. By having your personal funds and your financial well-being on the line, there’s a lot more incentive to get out there and do just what must be done. When you have got capital behind you, it is not truly your personal neck that is on the line. 6. Pivoting is much easier. Switching your direction is very difficult to do when investors have put in funds based upon the actual business plan. As a bootstrapper, if you see that the market has shifted or some other condition has changed, you can react quickly. With investors in the picture, you will not be able to do so. 7. You will be able to accumulate much more savings and much less stress. Playing with investors’ capital is always stressful. Also, with lower contracts as well as agreements you will spend less on lawyer fees as well as accounting. Running a business enterprise without funding is a less complicated and more enjoyable way to manage your dream. 8. You are the boss without any doubt. How would you feel to have investors disturbing your own strategy? If you ask the majority of business owners why they started their own businesses, they will probably say flexibility and freedom are their main reasons. They are free to make their own personal decisions, and free to make and market the products that they want. 9. Bootstrapping helps to bypass and/or eliminate the approval process. If you would like to make some changes to your small business, you could do it instantly, if you bootstrap. If you have investors, there is an approval process that you will have to follow instead. As a bootstrapper, you could make a decision one day and implement it next. With investors, there is just no way to be that flexible. 10. Bootstrapping allows you to keep all the profits. Bootstrapping allows you to keep all of your business profit. You would be making more money from your very first sales. Investors will ALWAYS have their hand in your pocket. There is no way around that fact. 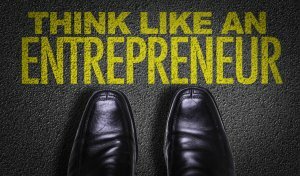 The capability to bootstrap a business eradicates a lot of the challenges normally facing the entrepreneur. Raising capital, building inventory, dependence on support from other people and covering all of the fixed overhead costs are mitigated when you bootstrap your business.